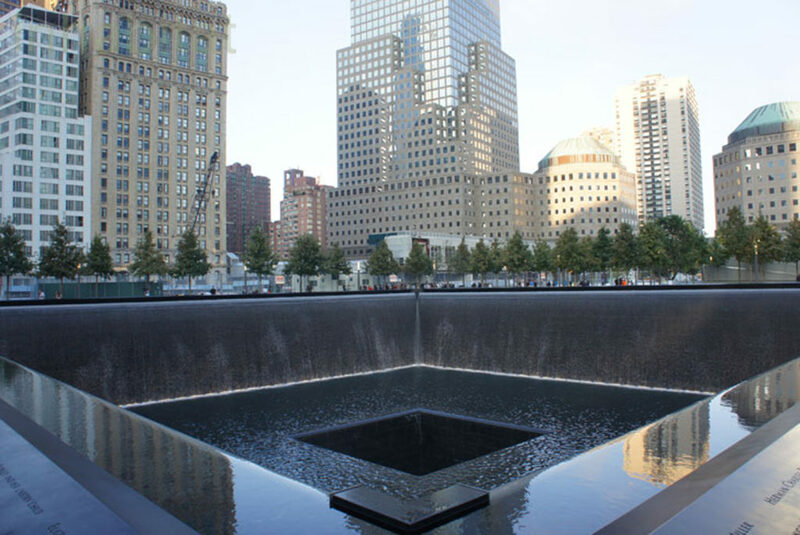 Take a private 2-hour tour to see the spiritual side of the 9/11 tragedies. Visit 2 houses of worship and see how NYC has recovered since the attacks. Tour the whole World Trade Center neighborhood. Your guide will show you where the attacks occurred and how the city has changed in the aftermath of the tragedy, as well as the full story of where the disaster took place. We tour inside buildings, lobbies, churches, and the mass transit hub. We see memorials to those lost, small and large. Explore the architectural and historical stories of the buildings and monuments. This is also a spiritual tour. In addition to touring churches, we also see the beautiful Hudson River Promenade and parks. We end at the National 9/11 Memorial. Take a 2-hour guided tour of Ground Zero and the National September 11 Memorial with an English-speaking guide. Experience the spiritual side of the tragedy at two houses of worship and small memorials. See the recovered neighborhood and learn about NYC history before and after the attacks. 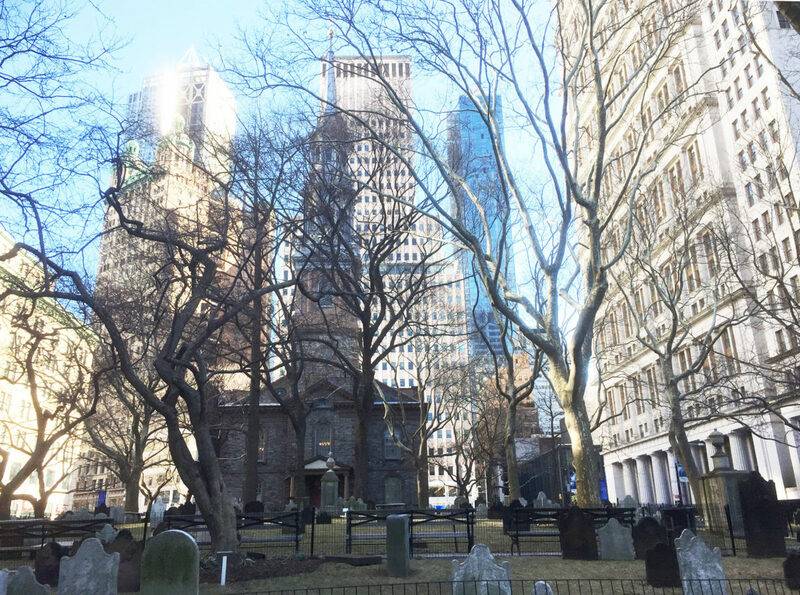 The tour begins in the churchyard behind St. Paul’s Chapel, one of New York’s oldest buildings and a place of solace and spiritual strength before and after the attacks of Sept. 11, 2001. Learn about the history of New York before the attacks going back to the Colonial Era. We then tour the entire neighborhood around the World Trade Center and Ground Zero. The tour concludes at the National September 11 Memorial, where we pay our respects to those lost, and honor their memory. We visit the two footprints where the Twin Towers once stood. In this eight-acre park you learn the stories about the victims, from office workers, airplane passengers, and first responders. You are free to spend as much time here as you wish. The meeting point is at St. Paul’s Chapel (Broadway and Fulton Street) in the churchyard behind the chapel, at the bell in the cemetery. In the event that the gates are locked, meet on the corner of Broadway and Fulton Street. Arrive 15 minutes before the scheduled start time. Your guide will have a blue flag. Gratuities are not included but always appreciated. • Extra cash as we end the tour where food and drinks may be purchased. No. The tour ends at One World Trade Center; the guide will direct you to your next destination. The closest subway stations are Fulton Street (A/C/J/Z/2/3/4/5 trains) or Cortlandt Street (1 train). Both are 5 minutes walk to meeting point. St. Paul’s Chapel (Broadway and Fulton Street) in the churchyard behind the chapel, at the bell in the cemetery. Yes. We tour inside buildings open to the public. We do not tour the 9/11 Museum. Dress casual, with comfortable walking shoes. We do walk over uneven surfaces.